Mere mortal. Fae hunter. Oh, and the apocalypse? Yeah, that happened! 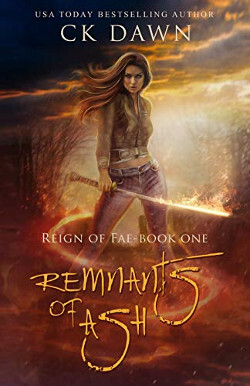 Through her research, University of Washington student, Chloe Etain, stumbled into an ancient war between the Light and Dark Fae that has culminated in her world being thrown into pre-industrial chaos. Dark Fae scum now roam free, feeding on unsuspecting humans. Chloe knows the truth though and, possibly, how to stop it. But as a mere mortal, what can she do? That’s when the fates step in. Bram Tice, a fae hunting his own kind, vows to help Chloe. But he won’t say which Court demands his allegiance. Together, they set out to right the imbalance plaguing her world and save humanity before they turn into nothing more than remnants of ash.